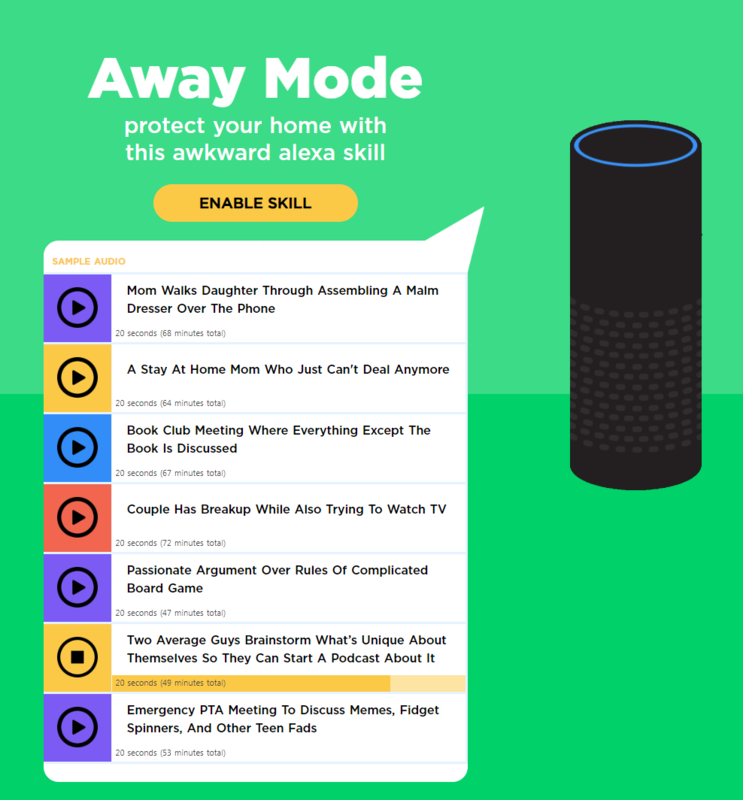 The “modern home insurance” brand Hippo recently created “Away Mode”, an Alexa skill that activates one of seven “awkward” conversations when enabled, ostensibly to trick would-be burglars ala Kevin McAllister. But while it is a real skill, it’s actually designed as advertising to generate awareness for the three-year-old brand. According to Hippo, “Hippo was looking for a way to engage a broad audience in a conversation about home security and home insurance. We figured it was easier to drive awareness and education through humour“. First, it’s another example of “innovation” as advertising. And while stunts are nothing new in advertising, this is the first time a brand has used Alexa as the chosen platform on which to execute one. But more importantly, it’s a beautiful way to emphasize its point of differentiation. Hippo bills itself generally as an insurance company with a different outlook, as a “tech company” that “leverages Smart Home technology to prevent disasters instead of simply responding to them”, and its insurance “protects smart home appliances and electronics”. This entry was posted in Case Studies and tagged alexa, Alexa Skills, Amazon Alexa, Away Mode, hippo, home insurance, Insurance, insurance company by Chris Cotter. Bookmark the permalink.